When it comes to importing your data into Maptive, you have a few options. You can copy/paste, drag & drop your existing Excel file, or click 'Select File' to upload a document from your computer. 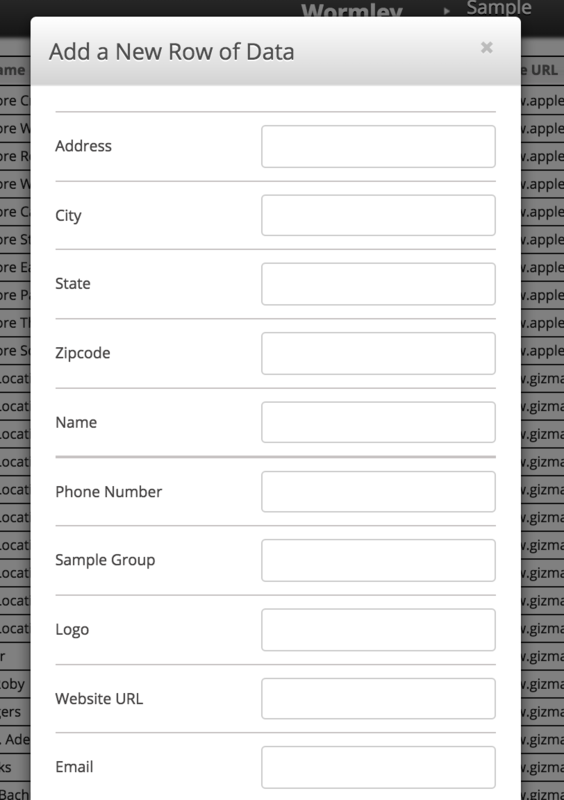 Note: Your data needs to include header columns (such as Address, City, Zip code, Name, Phone Number, etc.) that tell Maptive what the data is. Step 1: Sign into your Maptive account. 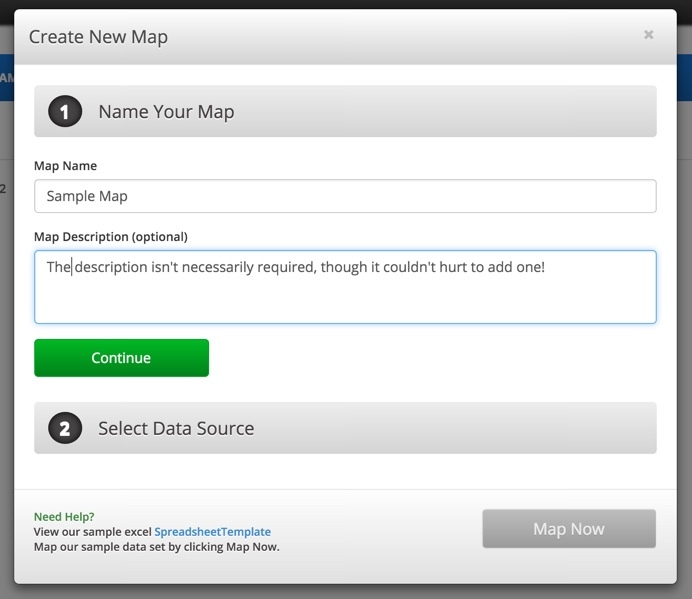 Step 2: Click 'Create New Map' to get started. After logging in, you will be brought to the homepage dashboard. All maps created earlier are listed here along with one click access to main features under 'Actions'. Click 'Create New Map' to get started. Step 3: Name your new map and click the Continue button. After completing step 2, the 'Create New Map' window will pop up and you will be asked to provide some necessary information that we'll need in order to help you create your map. Start by naming your map and writing a brief description (optional). Then hit the 'Continue' button. 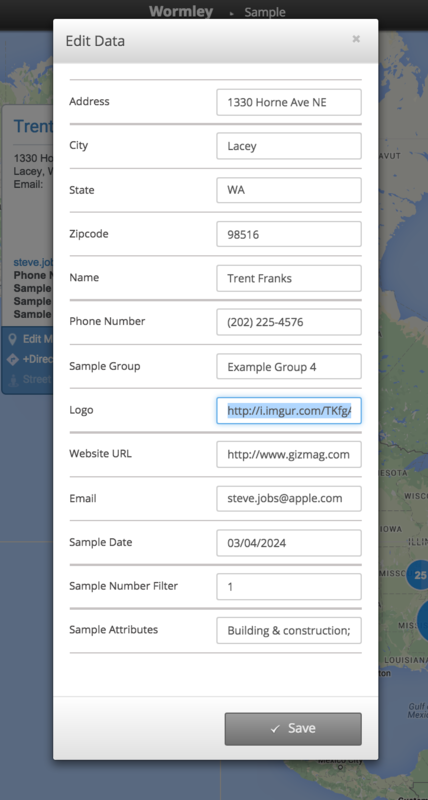 Step 4: Upload your data to Maptive. You can do this by either copying/pasting your data or dragging/dropping it into the dash lined box. By uploading an Excel or CSV file. Or Manually Create a Map From Scratch with No Data Set. Or load your data set directly from Google Sheets. 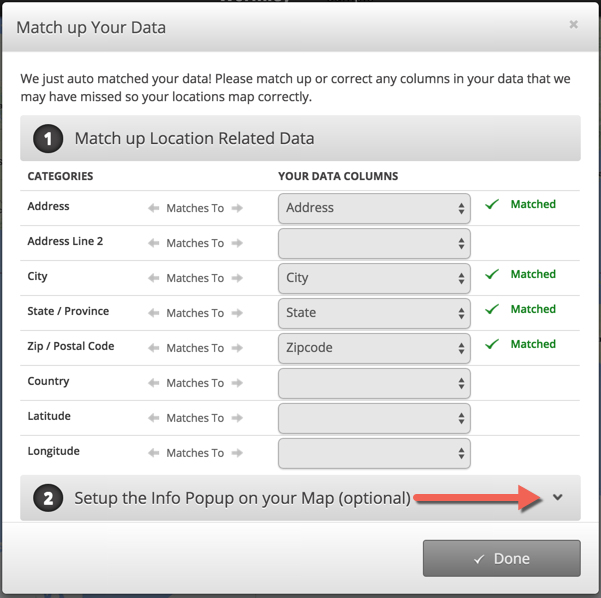 Step 5: Match up as much location specific data as possible. After you upload your data, you'll be asked to match up any relevant location information that you included in your data document. Match 'City' to 'City' or 'City' to 'town', for example. 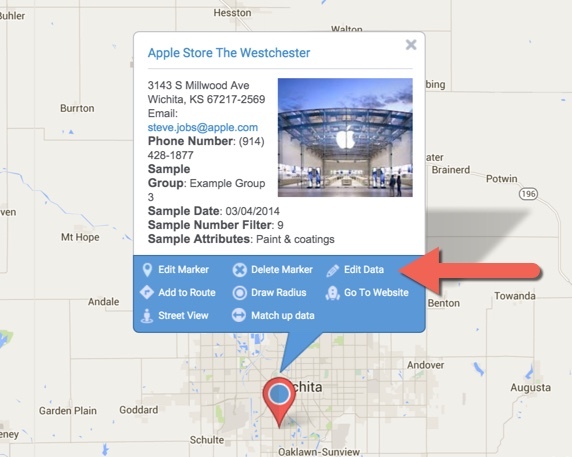 This will help Google Maps pinpoint your locations accurately. 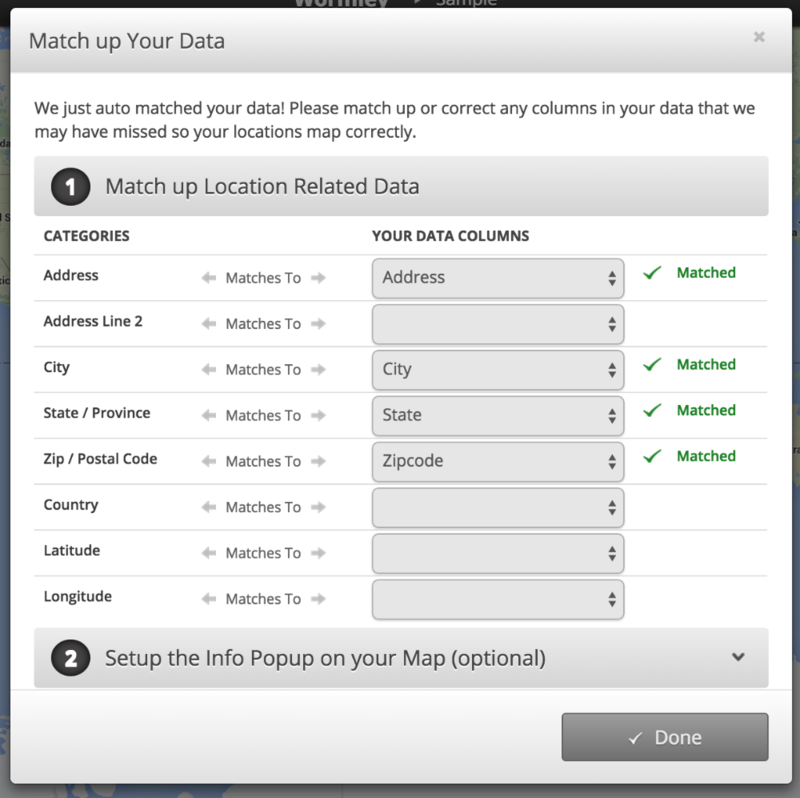 When you've matched up your data, click 'Done' to create your map. From there, you can edit your data directly in the cells. When you make a change, you'll notice a green check box and a red 'x' box show up in the upper right hand corner. If you meant to make the change you made, confirm by clicking on the green button. If you made a mistake, click the red button to cancel the change. Make any necessary changes to your data, then click the Save button. Step 3: Click the Save button to add your new row to the dataset. 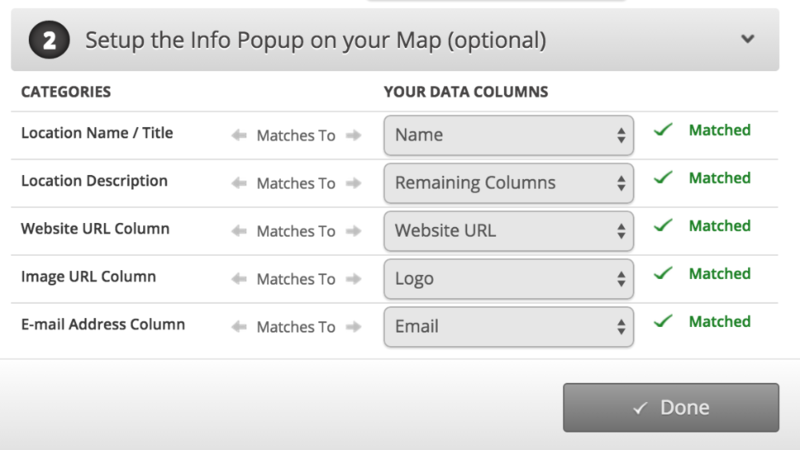 Step 1: Click on the Data Tab in your Maptive account. To delete a new row of data, click the check box for the row of data you wish to delete. Please keep in mind, deleting is permanent. 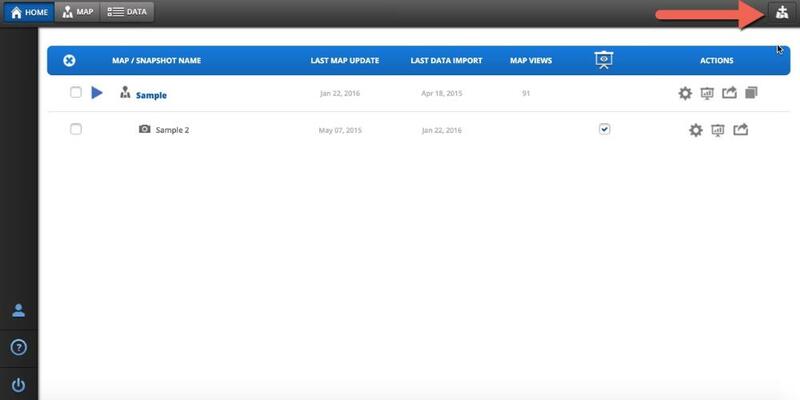 tep 1: Click on the Data Tab in your Maptive account. Then select the "Add A New Column"option from the left hand column: Step 2: The following window will appear. You will need to name your column, the default value can be filled or left blank. Click save and your new column will be added to the end. 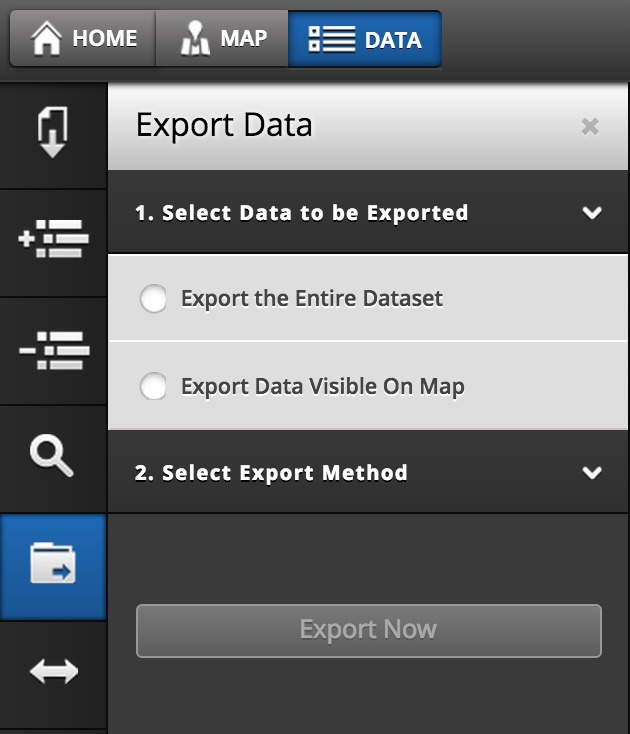 Step 2: Select how you want your data to be exported. You can export the entire data set, or you can export data visible on the map. Step 3: Select your export method. 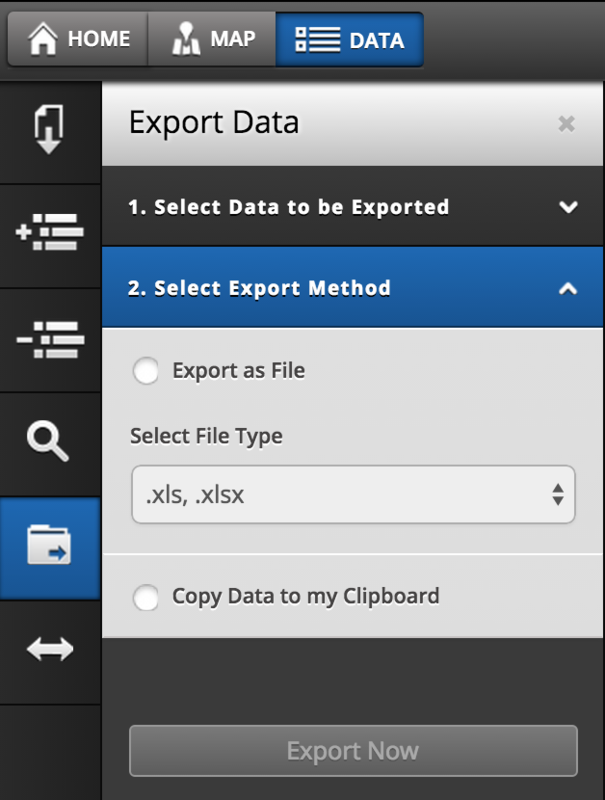 You can choose to export as a file, or you can copy the data to your clipboard. Step 4. Click the 'Export Now' button. 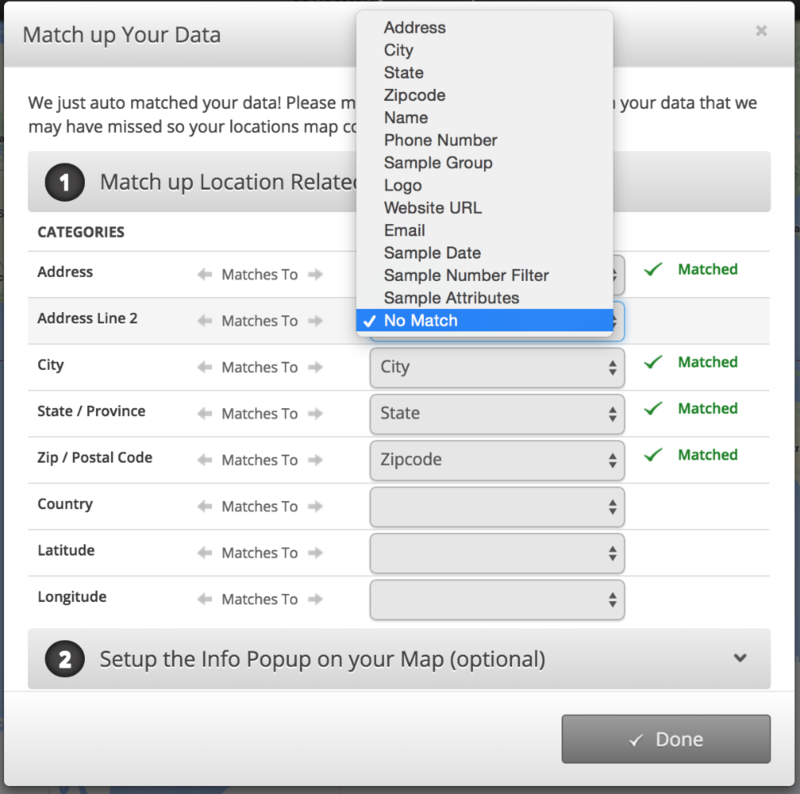 When you go through the steps to create your map with Maptive, you will be asked to match up any relevant location data that is included in your document. 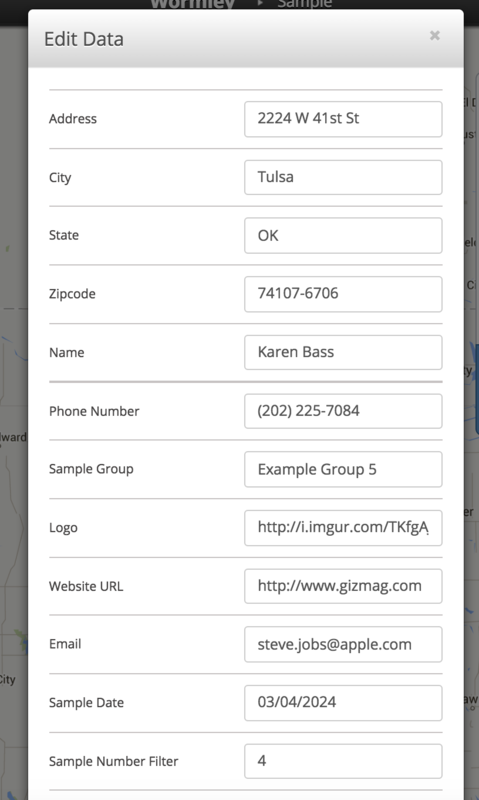 In order to successfully use Maptive, the spreadsheet you upload needs to include header columns (such as Address, City, Zip code, Name, Phone Number, etc.) that tell Maptive what the data is. 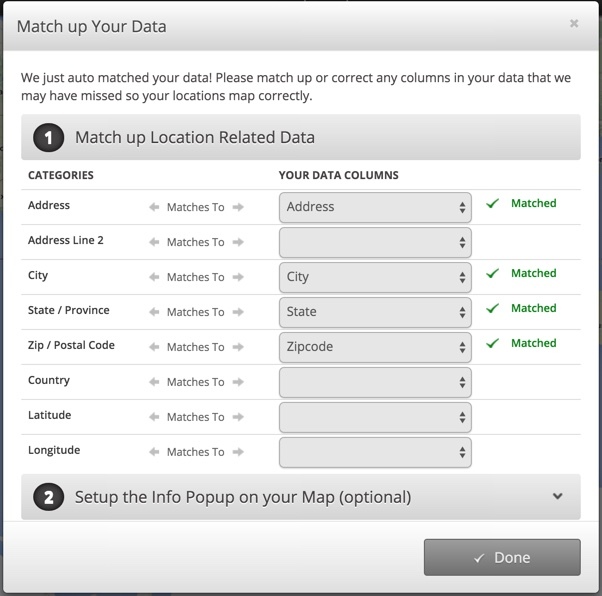 Note: Maptive will be able to automatically match most of your data columns for you. It is not uncommon to have some lines that do not match to anything (as seen below). When you've confirmed that all your data is correctly matched, click the Done button.